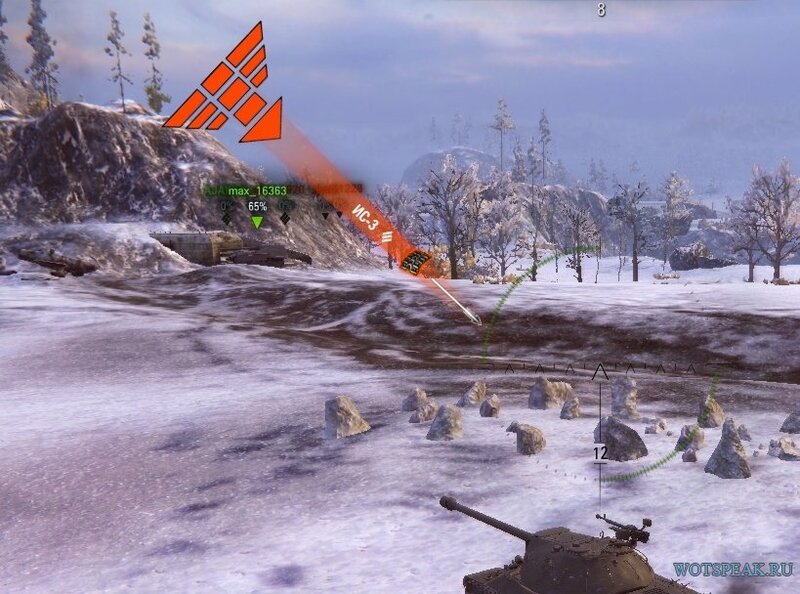 Simple red and yellow damage indicator for World of tanks 0.9.16 will tell you the exact direction and place from which was firing of your tank. 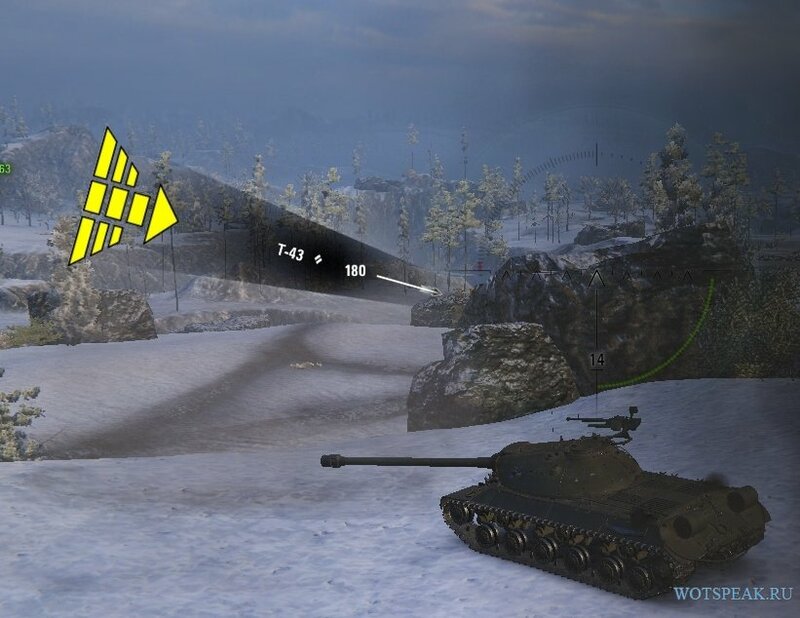 On screen shows the minimum amount of information – the red light – direction of the enemy, if the opponent is able to penetrate the armor of your tank or yellow lights are not inflicted the damage after hit. 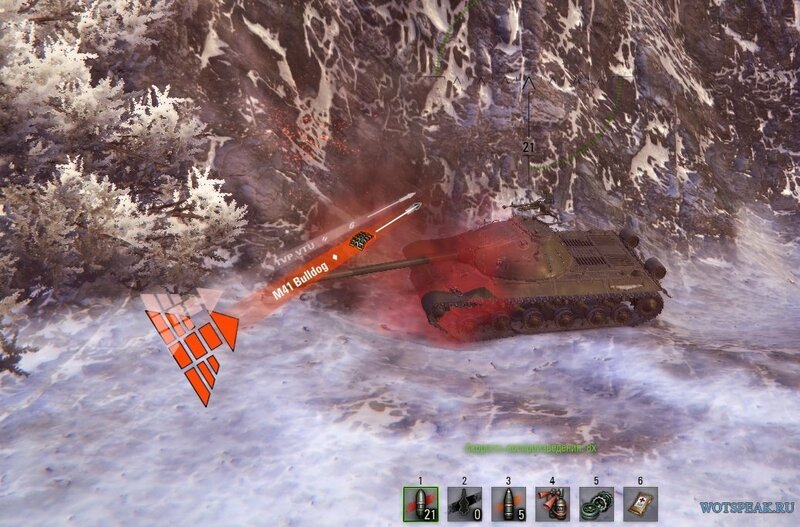 The perfect solution for players that can not stand a huge number of multi-colored inscriptions during the battle. 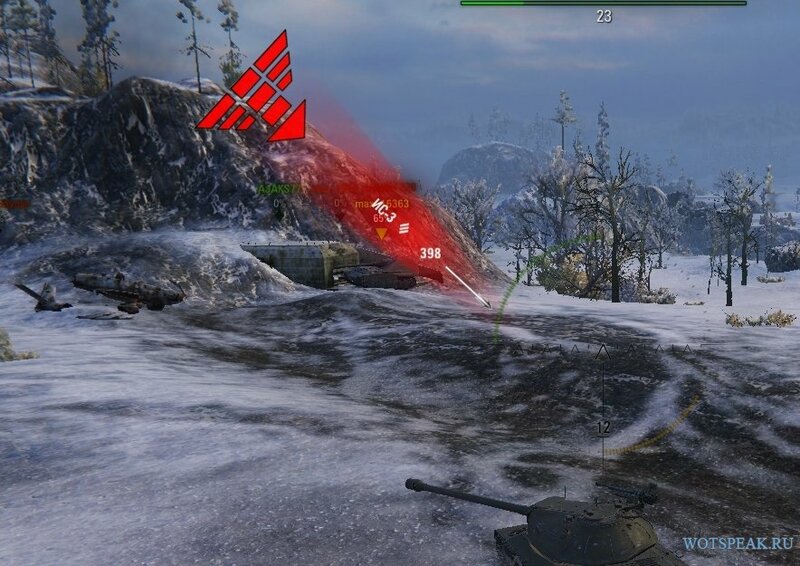 This indicator conveys much useful information, and does not carry excessive visual load.